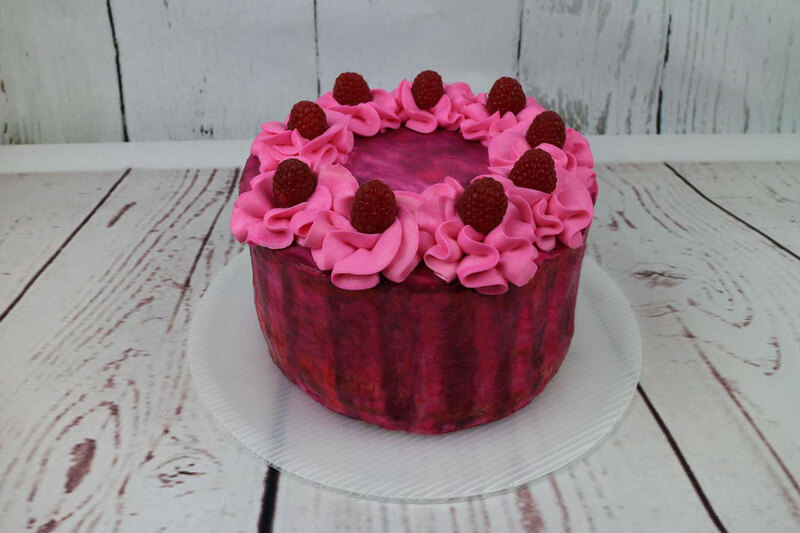 Today I can show you my raspberry cake. It is made of sponge cake with whipped cream and raspberries. The outside is chocolate ganache in two different colors. The decoration is a ready to use frosting piped with a russion piping tip.